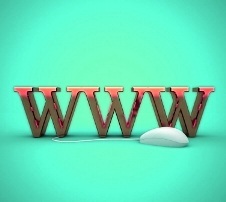 Is your domain name important to your website or business? I think so if you are interested in an easy to remember domain name that’s not necessarily the name of your website or business. If people have to type in your name into a browser then short is better than long. There would be fewer mistakes in typing it in. It will also be easier to remember. This is true even for SEO purposes, what with the penalties Google has recently implemented for highly targeted anchor text for links coming into a site. At least you are less likely to get dinged for having a single important keyword (instead of a whole phrase) that points to your site when someone clicks your link. At the present time a non-exact match domain name, which was once touted as a good advantage for a domain name, may be a disadvantage now. What about the case when you have a long domain name and you want to post a link somewhere with the full URL listed? If your business has a long domain name then pointing to a page on your site could end up with a very long URL that shows in the browser. Not only does this not look good, but it is very easy to make a mistake if someone has to type in a long web address. 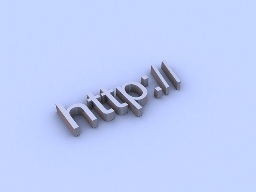 If your web page or site address is real long it is possible through html coding to make your link say something like “Click here for the best in brandable domains” or some other phrase to cloak the link, but even that doesn’t normally hide the actual website address which shows in the browser. It is, however, possible with code to really hide the actual web page address in the browser, but such a tactic is not going to be discussed in this article. A long domain might also be a problem if you want to advertise your website in the case of off-site advertising. For example, if you want to invite a radio audience or external group to visit your site it would be much better to say something like, “Visit us online at http://www.goldaria.com “ or would you rather say a much longer domain name. This same type of scenario is may affect print advertising. You would have to have extremely small print or purchase a larger ad to accommodate a lengthy business name. More money might be needed in advertising just because you have a long domain name. A long domain name may also affect online PPC advertising where space allowed for your ad is very limited. A good example of using a domain name as a brand might refer to an associate of mine, Rowetanitta, who wants to set up an online store to sell gold jewelry and other gold items. She made up her mind to name her online store Rowetanitta’s Online Gold Emporium. That sounds OK, but may not be practical for a website address. A much better solution would be to brand her store with a short memorable domain name. One that would convey the essence of her business yet is short and memorable. It would definitely cut down mistakes in typing in or remembering a long name. It would reduce the web address length of interior pages of a site considerably if the domain name is short. Here’s a potential solution. She should consider creating a brand for her business. 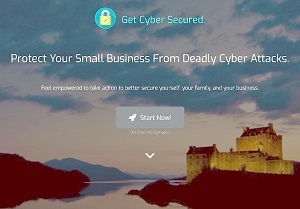 Yes, it will cost money to secure a brandable domain name. But over the long term it would almost surely be worth it. In fact, such a short name would be an asset whether the store was a physical “brick and mortar” store or an online one. Say she searched and found that www.Goldaria.com was available for purchase for a reasonable price. It’s got the important keyword gold in it and it’s short and has a good sound to it. In addition, it’s a name that’s memorable. Frequently branding domain names usually cost in the tens or hundreds of thousands of dollars. That domain name could be a real bargain that will brand her business. It would create a brand which people would remember and associate with her site and business. It would certainly be much easier in advertising, in print media, or just telling friends and business people to visit Goldaria.com rather than RowetanittasOnlineGoldEmporium.com. If you have promotional products like pens, key chains, mini-flashlights, or other items, you may also find it a disadvantage to have a web address so long a person will forget your name when trying to type it into a browser or even when telling people about your business. There’s always room for error when typing in long web addresses. In addition to that, it could look unprofessional to have a very long domain name. Many online sellers of domain names offer existing domains for reasonable prices. You can direct an existing site to a new domain name even if you already have a long domain name you wish to keep. It can be an alternate web address people can use to find your site. It doesn’t necessarily have to be a single word but the rule is to keep it short rather than long. Consider your options before making your decision to get a domain name, but do try to keep your domain name short and easy to remember if at all possible. This will aid in both online as well as offline marketing strategies and is especially helpful for online use. Do you think Yahoo.com would be as successful as they are if their domain name was Yahoosearchengineandnewsportal.com? Probably not. What they and other businesses have done is chosen a word they then market as synonymous with their product. For example Yahoo, Bing, and Google are not words we may have recognized back before they became popular, but they are now the names you naturally think when you think of search engines. When your business name is already taken, specifically the .com version, it may be time to look at a domain name that is a singular word in your company title, or a relevant word associated with your business, or a short brandable word you can use as a brand for your business. Once you secure a domain name, begin promoting that word as one that identifies with your business. If you do you’ll have a good chance to reap recognitions benefits similar to the biggest brands you see on the internet. 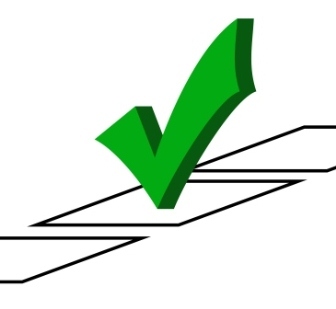 Visit www.DomainSam.com for additional aged domain names, and other premium domain names for sale.